The new Nirvana postpaid plans range from Rs 389 to Rs 2,999 and offer free unlimited local and STD calls along with varying data benefits and 100 SMS per day. Idea cellular has introduced new Nirvana postpaid plans which rivals Airtel myPlan infinity and Vodafone RED postpaid plans. There are a total of 8 new postpaid plans by Idea and all of them offer free unlimited local and STD calls along with varying data benefits and 100 SMS per day. First spotted by Telecom Talk, the telco has revamped its existing postpaid tariff plans and renamed them as Nirvana postpaid plans. The postpaid plans start from Rs 389 and similar to Airtel and Vodafone, the maximum value plan costs Rs 2,999. As mentioned above, the Nirvana plans start at Rs 389. It offers unlimited local and STD calls and with only free incoming on roaming. Apart from the Rs 389 postpaid plan, all other postpaid plans offer unlimited voice calls with free incoming and outgoing on roaming. Different plans by Idea offer varying data benefits. The Rs 389 plan comes with 10GB of high speed data, whereas the Rs 499 and Rs 694 plan provides 20GB and 35GB of data respectively. Also, the Rs 649, Rs 999, and Rs 1,299, postpaid plans offers 35GB, 60GB and 85GB of data respectively. Finally, under the Rs 1,699, Rs 1,999 and the Rs 2,999 Nirvana postpaid plans, users will get 110GB, 135GB, and 220GB data per billing cycle respectively. The postpaid from Rs 1,299 to Rs 2,999 also offer free ISD voice minutes and all the above mentioned plans come with a data rollover scheme which allows users to carry forward up to 500GB of unused data to next month. Subscribers with Nirvana postpaid plan priced Rs 1,299 and below get data carry forward of up to 200GB whereas plans priced Rs 1,699 and above can accumulate a maximum of 500GB data. Idea is also offering free music, movies, games, and magazines subscription on all of the above postpaid plans. 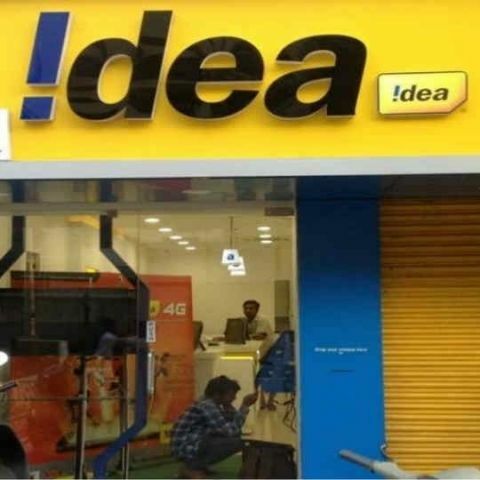 Additionally, users will get access to Idea Select Membership on Rs 499 and above priced plans which gives them priority access at Idea Stores and Call Center along with exclusive deals and promotions on the My Idea App. Finally, all Nirvana postpaid plans, except for the Rs 389 plan, offer the Idea Phone Secure feature. It offers free anti-theft, antivirus and damage protection with a subscription of up to 12 months.